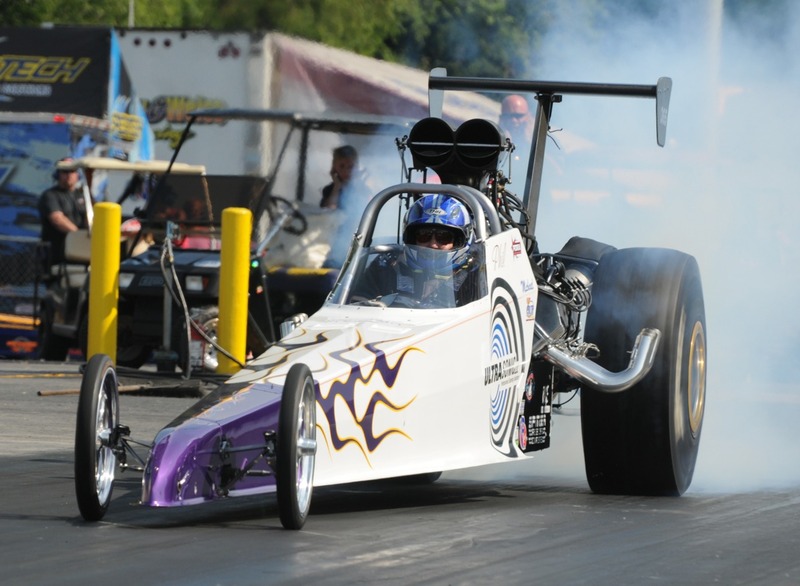 PITTSBORO, N.C. July 14, 2014: The Ultrasonic Top Dragster ‘Ultra 4’ Shootout has been one of the most exciting points of the class in the Professional Drag Racers Association’s inaugural year. One of the biggest draws for Top Dragster and Top Sportsman alike is the need to push the limits to qualify and then turn around and be able to bracket race at incredible speeds on race day. The Ultra 4 Shootout provides even greater incentive to be a top qualifier by providing a race within the race. The quickest four qualifiers compete in a no-dial-in event where whoever crosses the finish line first wins. Phil Esz, whose company UltraSonic,LLC sponsors the Ultra 4 Shootout, also competes in the class and recently proved to be the quickest competitor in Top Dragster. At the PDRA Summer Drags, Esz laid down an astounding 3.696 to reset the Top Dragster elapsed time world record. This also awarded him the number one qualifying position and a spot in the Ultra 4 Shootout. “I think Ron was more excited than me. We only have 15 runs on the car this year. We made some mistakes and did a real big wheel stand in Q2 which really could have ended ugly, but luck, a blessing and some driving saved the day. Esz has a good chance at breaking his own World Record. He’s been competing – and winning – such shootouts as the Ultra 4 for years. Although he started out in truck pulling, he made the switch to racing in 1990 when he bought a Spitzer Dragster. The engine in his pulling truck went straight into his dragster and proved to be a winning combination. He and his crew, which then consisted of his father and mother, found their way to the winner’s circle in their very first ET bracket race. The need for speed was strong in Esz, so he and his father began competing in the NHRA Division 3 Spitzer Super Quick Series in 1992, finishing second in points and then winning it all in 1993 when Esz was also voted NHRA Division 3 Driver of the Year. After scaling back on traveling and focusing locally for a few years, Esz invested in a new Spitzer Dragster and BAE engine in 2006. “Many racers told us we would spend a year just trying to get it down the track,” Esz remembered. “The third time out with the car we won a quick 8 race at Clay City. I had some good coaches through this process – Jeff Fowler and Larry Snyder. So in 2006 and 2007 we won the Pro Top Outlaws Championship. For more information on UltraSonic, LLC, visit the website: www.ultrasonicllc.com. Bales and Esz Racing Team has proven to be just as competitive as Esz was before his racing hiatus. The new World Record attests to this and stands as a lasting tribute to Esz’s late father, who would no doubt be incredibly proud of the legacy his son now carries on. 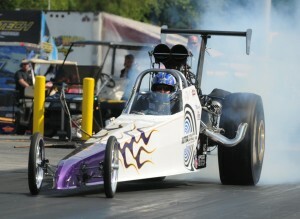 For more on the world’s premier eighth mile drag racing organization visit www.pdra660.com. Follow the PDRA: Facebook, Twitter, Instagram, Youtube.